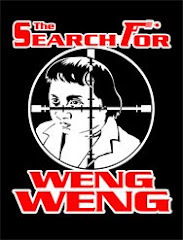 Film makers are passionate obsessive folk, often oblivious to the perils of shooting in foreign parts. We are driven by the belief that each project is the Holy Grail. Let nothing stand in your way, is the mantra. 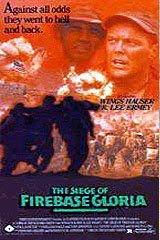 In 1988 I was being taken to survey a location two hour’s drive out of Manila for my Vietnam war movie THE SIEGE OF FIREBASE GLORIA, accompanied by First AD Carding Guzman, and Production Designer Toto Castillo. We passed a guard tower at a cross roads, its elevated platform cocooned in netting, conjuring the image of a robot bee-keeper. “What’s the net for?” I asked. “Grenades, sir.” was the deadpan reply from our driver. Yes, of course. In 1988, the Philippines was still in the grip of two insurgencies, an Islamic one in the South, and the communist New People’s Army (NPA) on the main island of Luzon where we were. So an hour‘s drive out of Manila we were already crossing the perceived border beyond which lay NPA contested territory, and we had an hour’s driving to go. I mistook this for character evaluation. In fact it was an item in all Philippino movie budgets at the time. Ostensibly, it referred to security staff for locations outside Manila. Indeed, who better to protect you from the NPA than the NPA themselves? I was told that they were better than the Philippino military. They did not get drunk, or bring their cousins demanding they get paid as well. We arrived on a hill with a good view of surrounding countryside, an ideal choice for the firebase. We discussed the lay-out of the defensive perimeter and bunkers while awaiting the arrival of the NPA representatives. A pick-up truck approached and parked. Two armed men with bandanas round their faces got out. Apart from a moment of frisson at the sight of a real loaded gun ( I was unaware at that point that two of my three Philippino companions were also armed.) I did not feel I had anything to fear. I trusted the judgment of my Philippino crew. And indeed, cordial conversation in Tagalog took place, a deal was made, and the NPA were on their way again. We would pay $5000 for each month of our stay in their territory. They would protect us, ensure that local bandits did not strip our firebase set each night, etc. They even volunteered to be in our battle scenes, and bring their own rifles. They had Armorlites, we needed AK 47’s which were in abundance in Manila. The well trained Viet Cong women you see in some battle scenes are NPA. Their only stipulation was this - when we brought in the Philippino Army helicopter gunships for the strafing and bombing scenes, we would give the NPA notice so they could make themselves scarce. The Army were grateful for this too. They did not want an unnecessary fight either. This was indicative of a level of popular support for the NPA, purported champions of the poor in the Philippines, where social inequality had reached obscene levels. Although we were a little late in paying one month, the NPA honored their deal throughout. During a tough night shoot I wandered away from the lights of the set, so I could gaze at the brilliant stars in the sky, and recover some inspiration. One of the NPA security people at our perimeter told me not to go any further. “But you’re the Good People,” I said. But I do not think that I really Got It till the night we were relaxing having dinner in the only American style bar in the tiny town of Pagsanhan ( where a lot of APOCALYPSE NOW was shot). At the only street lit section, this bar was right next door to the police station. 20 yards walk from door to door. The Police Chief entered the bar. He wore a side arm, a sub machinegun hung from a strap around his neck, ammunition pouches and grenades dangled from his belt. All this firepower to go 20 yards!! Grenades! Was everywhere outside of the walls of the police station a free fire zone? “What are you doing in the Philippines?” they demanded. For a few heart pounding seconds Clyde really thought they meant it. Two liquored up cops, thousands of miles from the US, in a town with three street lamps…who would ever know what really happened to him? At that moment life in Detroit was looking pretty good to Clyde. Then they roared with laughter, and let him go. Clyde Jones, being the ballsy guy he is, did not catch the next plane home, but continued giving a great performance and dodging pyrotechnics till we were done. Incidentally, our chief pyro guy Danny “ Boom Boom” Dominguez, as he was known locally, told me that we ultimately let off more explosions than HAMBURGER HILL! When the army helicopters were scheduled for the strafing and bombing sequences, we duly informed the NPA, who duly melted back into the jungle. But the helicopters were 5 hours late. The Captain in charge apologized. They had been on a mission against the NPA 100 miles north. “We will now change to blank ammunition.” he said. “Excellent idea!” I quipped. The army guys laughed. But my quip masked a sharp twinge of guilt and sorrow. We were doing simulated war, while further north people were dying in real war, people who were compatriots perhaps of the local NPA who had treated us well. When they might easily have held us to ransom. This strengthened my resolve to maintain the underlying theme of the movie, that wars are fought by brave dutiful people on BOTH SIDES. I had to fight the distributor on this issue who felt this point of view was “unpatriotic”. But enough evenhandedness remains in the picture, which has become a favorite of a lot of Vietnam vets. Check out their postings on IMDB. It’s a mystery to me why MGM does not bring it out on DVD. The entire US Marine Corps, to whom R. Lee Ermey is a god, would buy copies. One fan even started an on-line petition to MGM . As yet, no response. Back in Manila one night I staged the 1968 Tet offensive attack on the US Saigon Embassy, at a run down Foreign Businessmen’s Club, a passable match to the actual building in fact. After Take 1 of the initial assault, with Viet Cong shooting up the sentry box and driving in hurling grenades, we suddenly found ourselves surrounded by police and army units. It turned out that President Cori Aquino and General Ramos were meeting in an hotel a couple of blocks away. Their immediate thought, upon hearing the explosions and gunfire, was that another revolution had broken out. We were shut down for 2 hours while I persuaded the authorities that I had no plans to overthrow the government of the Philippines. A deep basso profundo TV announcer’s voice should now intone: “There are 8 Million Stories in the Naked Jungle. 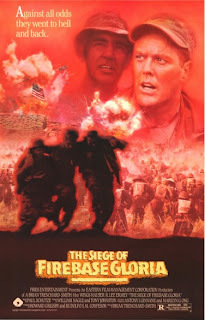 This has been one of them.” More on THE SIEGE OF FIREBASE GLORIA another time.